Broombank has been our family home for over 20 years. 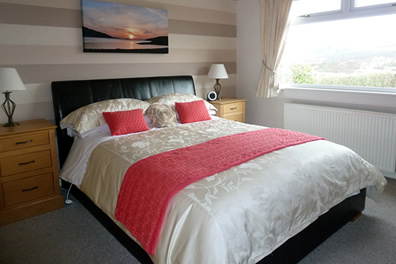 During this time we have offered bed and breakfast to visitors to Ullapool. Being from the village, we are able to offer some insights and tips on where to visit and things to do around the area. 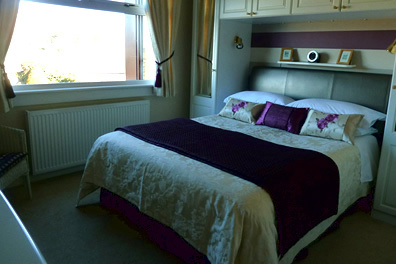 As well as having many new visitors each year, we also get many returning guests who have toured the Highlands and come to Ullapool many times, and we hope the fact that they choose to stay at Broombank again and again reflects on the quality of stay they have with us. We have parking at the front of the property, and disabled parking is available. 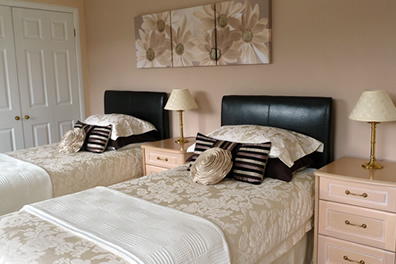 Our rooms are comfortable and homely, and we have a lounge/breakfast room and also a selection of books available for those wishing to relax and read, or you can sit and catch up with holiday postcards. The views across Lochbroom from the lounge are stunning and it is common to see beautiful sunsets as the sun drops behind the islands and lights the loch up in oranges and purples that take the breath away. We also have wi-fi broadband available for residents if you need to catch up with back home or work.